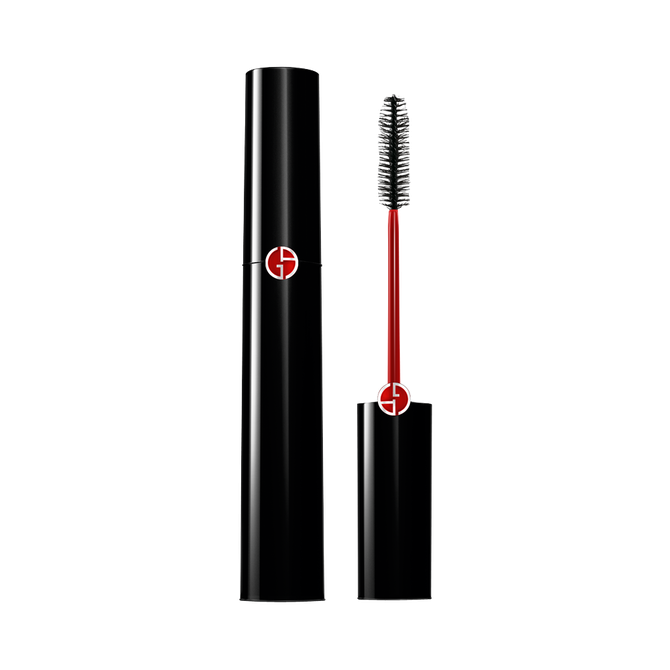 Beauty Professor: Giorgio Armani Friends and Family Event...Live Now! Giorgio Armani Friends and Family Event...Live Now! Above: The Giorgio Armani Friends + Family Event runs now through December 7th. 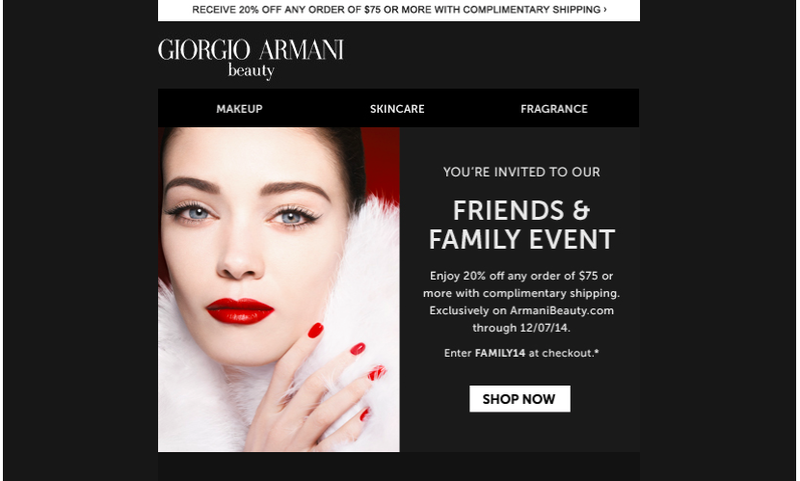 The Giorgio Armani Friends + Family Event (20% off orders over $75!!) has just begun and, in honor of this marvelous promotion, I've curated a list of my favorite Giorgio Armani products, with links to detailed reviews (most of which possess a full spectrum of swatches). From base to brows, there are a myriad of reasons why the Armani line ranks amongst my favorites! Above: Wearing the Giorgio Armani Eyes to Kill Excess Mascara + Lip Maestro in #500 Blush. 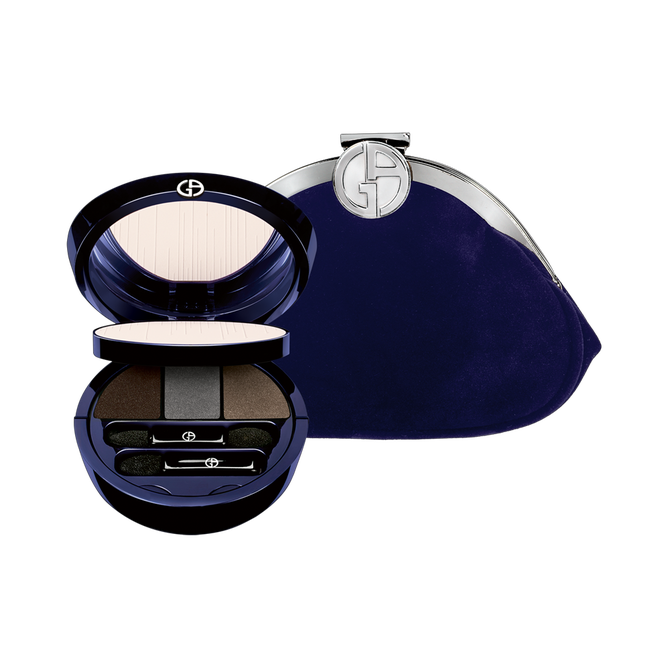 Above: The Purse Clutch features a compact containing a radiant face powder and three neutral shadows, all nestled in a gorgeous midnight blue clutch. Above: I cannot get over the textured beauty of this multi-shade gradient eyeshadow...the perfect marraige of form and function. Above: I adore the Eyes to Kill and Eyes to Kill Excess formulas and am intrigued by the latest installment's lovely, fanned brush! Bottom Line: The Giorgio Armani Friends + Family Event is an excellent opportunity to try new products from the line or stock up on stellar staples. I hope you found my curated list to helpful and cannot wait to hear what YOU will be procuring from the sale! Happy weekend...good things ahead including an overview of new products I'm experimenting with, some fresh Burberry and By Terry and (!) my Holiday Gift Guide (just in time for Black Friday). Hello, been enjoying your blog first time to comment! Which new Sun Fabric would you say is similar to sheer bronzer #1? Thank you so much for commenting! 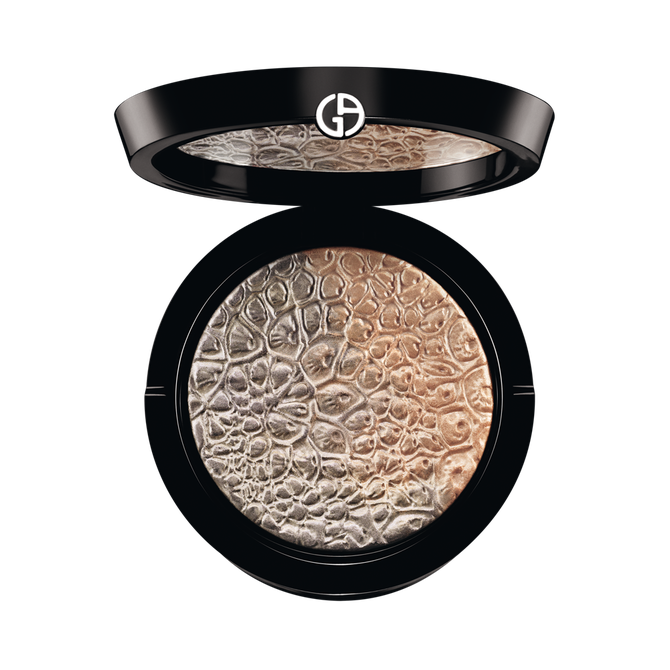 The Sun Fabric #100 is similar to Sheer Bronzer #1 (which I adored). It doesn't share the slightly reddish undertone but they are both a pure light brown tan (no orange) and I have allowed the Sun Fabric to replace the Sheer Bronzer #1 in my life since Sheer Bronzer #1 is discontinued! What foundation are you using in the above picture? Your skin looks like it is glowing, so beautiful. I am wearing the Sensai Cellular Performance Cream Foundation in #22...a lifetime favorite!